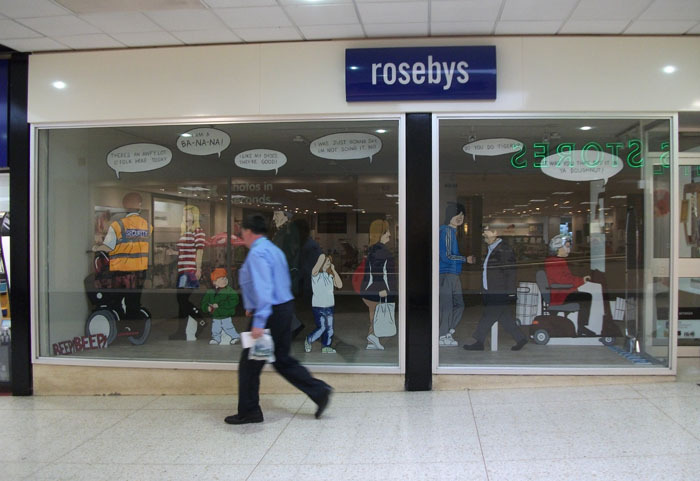 An installation in Fifespace in Rothes Halls and empty shops in the Kingdom Shopping Centre in Glenrothes as part of The Space Between, a group show with five artists from Blacksand Contemporary Arts and five Cupar-based artists. The Space Between ran from May 14th – 23rd June 2011. 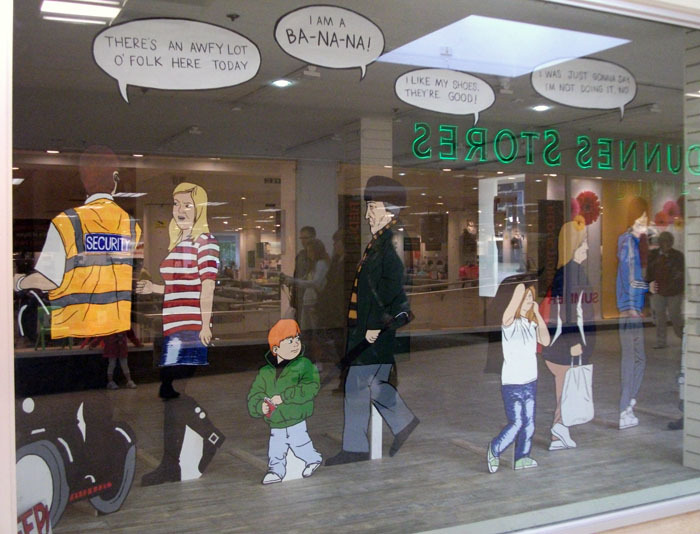 Meanwhile uses two shop windows as giant comic book panels. The character images within were amalgams of users of the shopping centre and the speech balloons contained actual overheard dialogue. The installation questions the idea of what a comic can be, does it have to be a printed magazine? More images of the exhibition can be seen here.